Weird #1: Becoming a product junkie. Those that know me, know I love make-up. I LOVE a good cat-eye and big lashes. I was Frenchie in a high school production of Grease and can't seem to shake the bouffant, shimmy dance moves or wing tipped eyes from routine. But my skincare routine is much simpler and really relies on a gentle cleanser and solid moisturizer. Prior to joining Beautycounter as a consultant, I didn't know much about other products that my friends and family used daily. Serums? Toners? Mists? What? What I did know was the impact the ingredients in those products may have on overall health. So I have had the opportunity to learn more about cosmetic products, the difference between safe/natural and actually effective for it's intended use. and the personal care industry overall. Also, guys, I know how to contour now... WHAT?! I told you.. Weird. Um a lot has been challenging. And I don't necessarily mean challenging with a negative connotation. But this has been a definite learning experience. Challenge #1: Direct Sales is a BEAR. I had several preconceived notions about what direct sales companies looked like going into this process and I will tell you, it wasn't exactly positive. Pyramid schemes, unethical payment structures, pushy business people, impossible quotas, or required recruiting. You know what I'm talking about. Now, I did my research and knew that Beautycounter didn't have any of these things, but I still was nervous about the consultant/direct sales culture I was potentially walking into and felt weird about selling.. products. I could sell myself all day long, but as soon as you add a product in the mix, I feel weird. So I have a new respect for anyone in the direct sales business. Because no matter how much you love a product or service, selling can be hard. I can't tell you how much anxiety has stemmed out of just simply talking about Beautycounter for fear someone thinks I'm just trying to "sell them" something. If you think this is the case, I'd invite you to read my initial post about my foray into direct sales. What has been a big help with this anxiety is reminding myself, that I am not just selling cleansers and moisturizers. 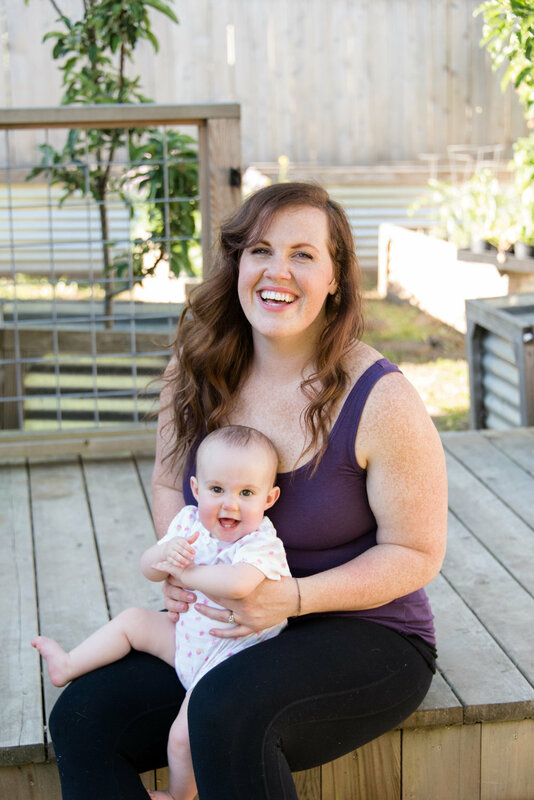 I am sharing my real life experience through the lens of nutrition, fitness, and mothering. I am educating on the impact of potentially harmful ingredients in conventional products and empowering people to make safer choices. If I can get you to look up your current products in the EWG Skin Deep Database, see the safety ratings, and help you identify a safer alternative, then I consider our interaction a success. Or shoot. Even simpler. If you take away just one ingredient, like fragrance, remember that it isn't your friend (because it's an endocrine disruptor--- it fucks with your hormones) and begin choosing products that don't have chemical fragrances, then THAT is a MF-ing success. Those alternative products certainly do not have to be Beautycounter. Beautycounter is but one solution to a huge regulatory and safety problem. Challenge #3: Realizing I am a textbook extroverted introvert. The rewards that come out of the above challenges are so totally worth it. Heather, Lucia and I are all NTPs and on the same Beautycounter team (#bcbosses!). I grew up playing team sports, so I revel in any activity that can involve high fives (even if they are virtual). I am on an incredible team of nutritionists and other wellness minded folks and I have been given the opportunity to mentor a few consultants of my own. These people consistently inspire and push me to be a better business woman, both with beautycounter and this sweet nutrition practice. Plus, I feel like I have a team of co-workers! Remember, I left my full-time job at the end of May? Yeah! Having a team of people working towards a common goal gives me a nice sense of belonging. Reward #2: Getting comfortable outside my comfort zone. My preconceived notions about direct sales (and anyone in it) have made this both my biggest challenge and greatest reward. I'm learning how to put myself out there, speak with confidence and understand that what I am talking about may not suit everyone and THAT IS FIIIINE. Just like not everyone cares about the health impacts of canola oil (BUT YOU SHOULD), I'm still going to talk about it. Owning my space, my choices, and knowing that if I act with honesty and integrity I have nothing to apologize for. Reward #3: Helping people feel awesome. Best for last. I have had the opportunity to help people clear up long-battled skin conditions like rosacea and eczema. Things that we've tried to address through other foundational changes, like digestion and nutrition, but realized were rooted in ingredient allergies. I get to consistently educate and empower people to choose products that take the load off those cute little livers, reducing autoimmune flare-ups, increasing fertility, and improving the chances of healthy pregnancy. So given a magical redo of the last 6 months would I still do this? Yes. Absolutely. Would I perhaps go about it a bit differently. Yes. Absolutely. But it all comes down to my why behind this process. With more than 80,000 chemicals on the market, fewer than 10% have been tested for human safety, fewer than 30 rules regulate the use of those chemicals in our personal care and household cleaning products, and the last major federal regulation for cosmetics was passed in 1938. THINK ABOUT THAT FOR A HOT SEC. 1938. Seat belts weren't even a thing in 1938. Ingredients like parabens, phthalates, fragrance/parfum, SLS, SLES and more are consistently used in conventional products; even products marked as natural, green, organic or plant based. These ingredients are linked with cancer, autoimmune disease, allergies, infertility and hormonal imbalances. This is not a sales pitch. This is science. This is your health. This is my health. As a new mom and consumer, Beautycounter has offered a solution to the problem of having to choose between safe products and effective products both for myself and for my kiddo. I wasn't wearing much make-up postpartum (who has time for that? ), but I didn't want to worry about the potential harm from the few things I was using like lotion, sunscreen or lip balm getting on her skin. And I'll be damned if it was nearly impossible to find a diaper barrier cream for her intense rashes that wasn't petroleum based (vaseline is a petroleum product, FYI) and that actually worked, until we tried the Beautycounter diaper cream. Knowing that Beautycounter has banned more than 1500 harmful ingredients, without sacrificing performance has made my consumer choice easy. Finally, as a nutritionist and trainer specializing in pre- and postnatal health, I understand the impact these harmful ingredients can have on a person's overall health (see above) and I simply cannot stay quiet about it. So hi! I'm Liz, I'm a nutritionist, trainer, and safe skincare advocate and I'm here to help you cultivate your health.